The Best Practices Course is delivered to you through our online membership site. You may view each video lesson any time you wish by logging in to the website. Some members asked us to provide the videos on DVD so they have a “hard copy” of the course. When the course is completed, there will be 7 DVD’s including one for the QuickStart Course. If you would like to receive these DVD’s, you may order the complete set for $97 including shipping anywhere in the world. 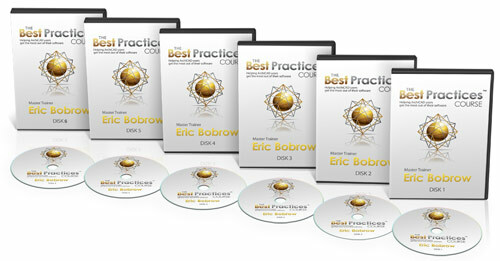 We do not plan to sell the DVD’s individually, and this offer is only available to registered members of the Best Practices Course. NOTE: The DVD set is only available for purchase by course members – please login to the website to access the order form.